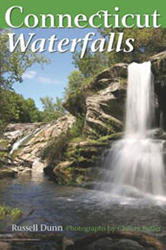 There are at least two waterfalls worth noting along Glen Brook Falls. Both are located on the property of the Berkshire School, which as far as I could tell, welcomes visitors. The grounds of the school are well-kept and so are the trails. 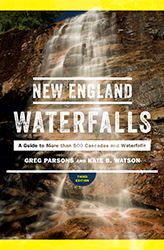 The lower falls are the most photo-friendly, with several tiers of draping plunges over polished rock, all set in a pretty ravine. 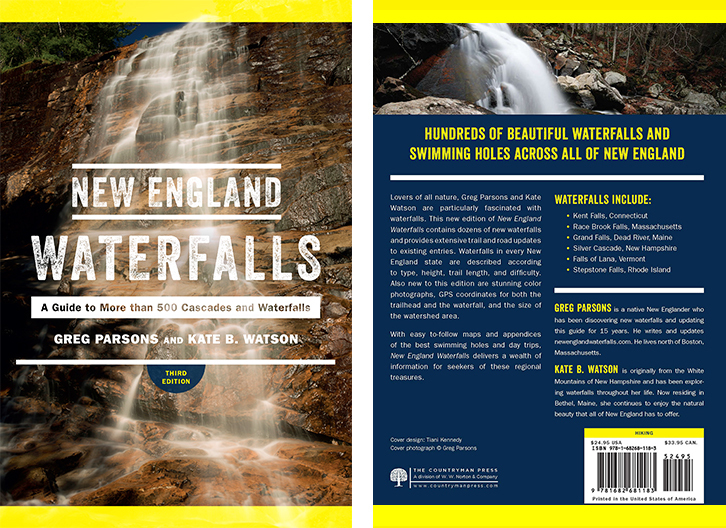 A warning though: the lower falls can dry up, due to the presence of a small dam upstream. The upper falls are about 0.25 mile upstream of the lower falls, and are viewable head-on once you reach a dam at the end of the access trail. 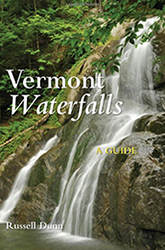 These falls are obstructed by trees, so high water conditions combined with an early spring visit will be the best time to visit. The upper falls sit in a very peaceful area. To find the actual trailhead, walk back along the road you just drove on, all the way to the fork in front of the Admissions Office. This time, take the left fork and climb up a paved road for about 0.1 mile. The road will then turn to gravel and begin climbing more steeply. To get to the lower falls, climb on this gravel road for 100 feet and ignore the green and white blazed trail on the left, which goes to the upper falls. Instead, continue further up the dirt road for another 300 feet, at which point the road will turn into a narrow trail. The lower falls are another 0.1 mile beyond this point. 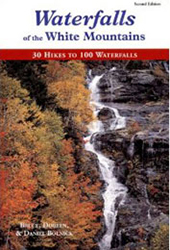 As you approach the lower falls, the trail gets steep and slippery, so take caution. 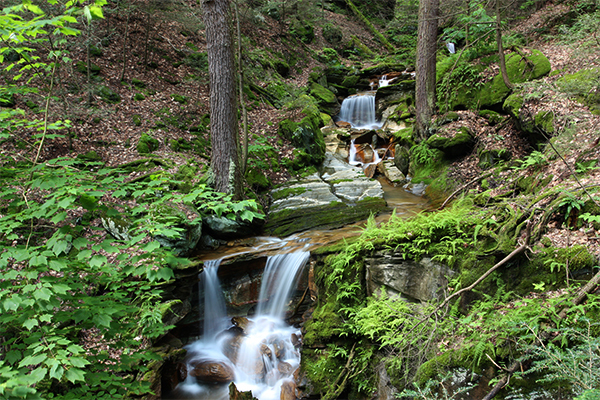 To get to the upper falls, climb on this gravel road for 100 feet and take a left onto a green and white blazed trail. Follow this blazed trail for 0.5 mile as it climbs moderately to the upper falls, which can be seen through the woods once you reach an artificial reservoir at the end of the trail. From the junction of MA 23, MA 41 and US-7 in Great Barrington, take the combined highway MA 23 west and MA 41 south heading towards Egremont. After crossing into Egremont, take a left onto MA 41 south. Follow MA 41 south for 3.2 miles and take a right onto a road that leads into the Berkshire School. Go 0.2 mile up this road and take a right when the Admissions Office is directly in front of you. Go 100 feet from here and take a right. After crossing a bridge, follow signs to 'visitor parking'. Go 0.2 mile to a fork and take a right. The visitor parking lot is just ahead on the right near a set of tennis courts. 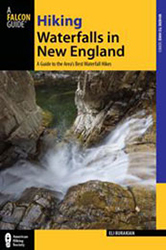 To get to Great Barrington, take exit 1 off I-90 (the 'Mass Pike') and follow MA 41 south. You can also reach Great Barrington by taking US-7 north from Canaan, Connecticut.